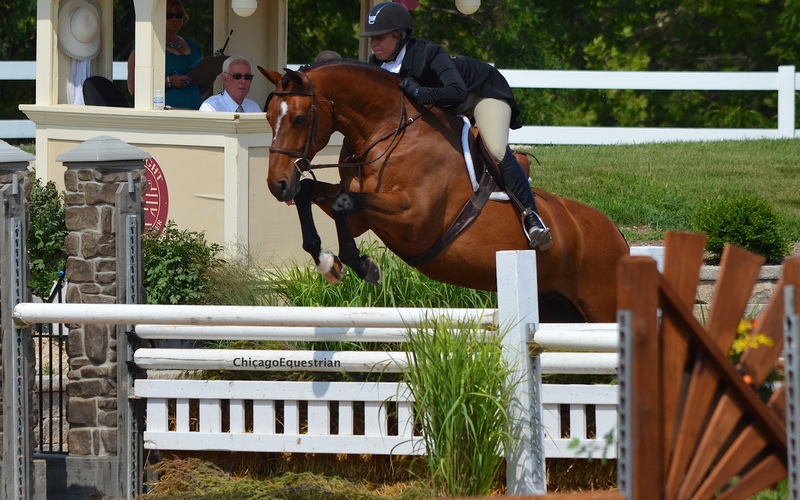 Wayne, IL – August 3, 2014 – Chicago is a great place to show in the summer and the weather did not disappoint today for Equifest II’s Derby Day at Lamplight Equestrian Center. Sunny skies and a nice breeze made for a pleasant day for riders and spectators. The feature classes were the $15,000 USHJA International Hunter Derby and the $5,000 National Hunter Derby. Lamplight Equestrian Center sponsored a derby champagne brunch for all exhibitors and spectators and for those who couldn’t attend, the event was also live streamed via USEFNetwork. The derby course was designed by Allen Rheineheimer and featured a horseshoe shaped split rail two stride and a trot jump going the other way with brush decoration between. 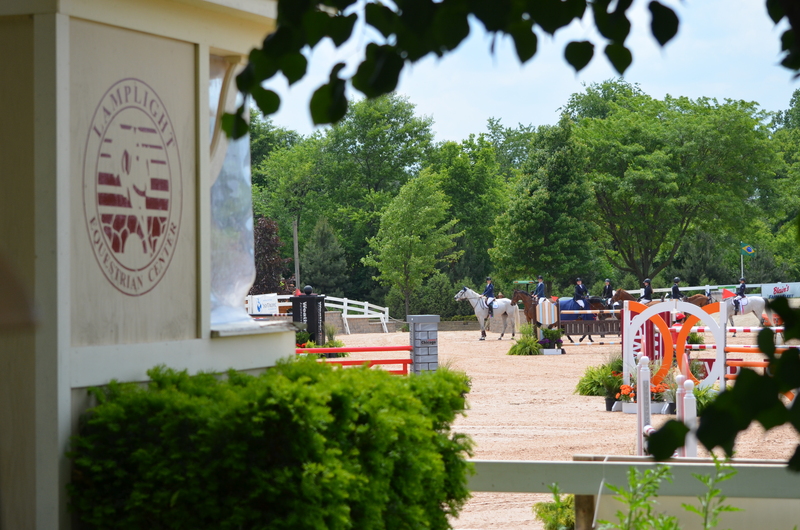 The course also had an oxer, oxer two stride off of a galloping seven strides and another oxer, oxer, bending line. The course was decorated with brush and green grasses throughout. Kelly Farmer and Why won the first round of the International Derby. Twenty-three riders took to the field for the International Hunter Derby at 9:00am. Judges Leo Conroy, Jeff Wirthman, Pat Bostwick and Fred Brown decided the order of return by the scores they issued. Winning the first round was Kelly Farmer and Why, owned by Glefke and Kensel LLC. The pair scored a 90 and 91 plus four high option jumps for a total first round score of 189 for the win. Farmer had all six of her horses make the handy round, four of them at the top of the pack. She returned first on Scripted, but an unfortunate fall of both horse and rider, kept Farmer out of the handy round altogether. Alfano and Jersey Boy won the Handy Round and the Overall in the International Hunter Derby. Jennifer Alfano and the well renowned hunter, Jersey Boy, took the lead in the handy round with a second round score of 195, almost thirty points ahead of any of the other handy rounds. The pair laid down a tidy round with tight inside turns and the gallop they are known for to earn the high score. Kyle Dewar and Jennifer Sprenger’s Ulex moved up the ladder with their handy round, scoring a 168 with accurate short turns. Caitlyn Shiels and Helen Lindsay’s Granted Wish scored the next highest score of 164 followed by Tiffany Hammack and Lance Williamson’s Aarhus with 159 in the horse’s first International Derby. In the end, it was Alfano and Jersey Boy, owned by SBS Farm, with the highest combined score to take the top prize back to Buffalo, NY. 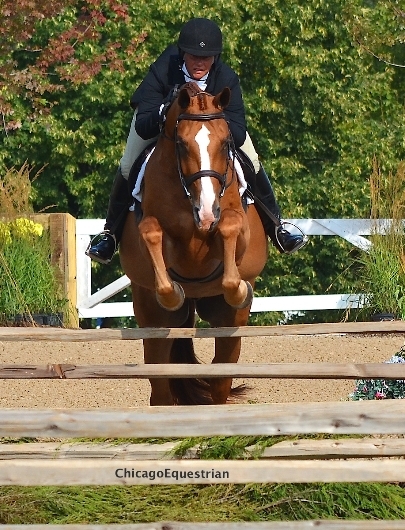 Alfano and Jersey Boy are gearing up for the USHJA International Hunter Derby Finals in Lexington, KY. This was their last derby before the finals August 14-16th at the Kentucky Horse Park. The famous pair won the derby finals in 2012 and were voted the 2011 National Show Hunter Hall of Fame Horse of the Year, as decided by the most prestigious professionals of the equestrian sport. Caitlyn Shiels and Granted Wish finished in second place in the International Derby. Finishing in second was Caitlyn Shiels and Granted Wish with third to Evan Colluccio and Unspoken owned by Glefke and Kensel LLC. 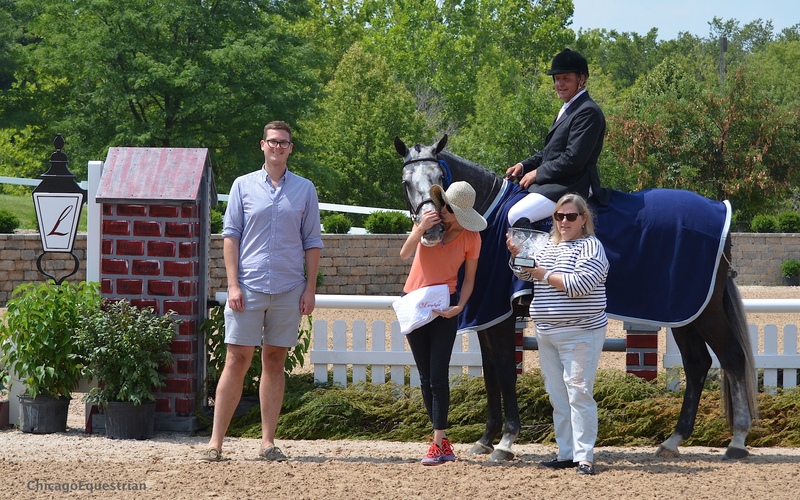 Between the derbies, there was a special presentation by CWD for the high score Junior or Amateur Owner rider showing both weeks of Equifest. 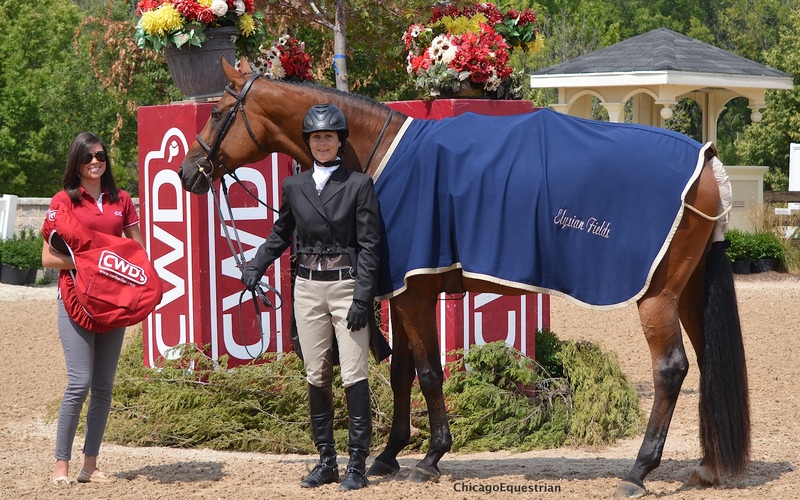 Winning the prize of a CWD saddle was Nicole Hiehle of Dublin, Ohio with Lovely Charity. Hiehle and her mount were Champions both weeks of the Equifest Series in the Amateur Owner Hunters. The pair also won the Amateur Owner Classic week II and were second week I. For all of their hard work, they now get to enjoy a new CWD saddle. Russell Frey and Savile Row won the $5,000 National Hunter Derby. 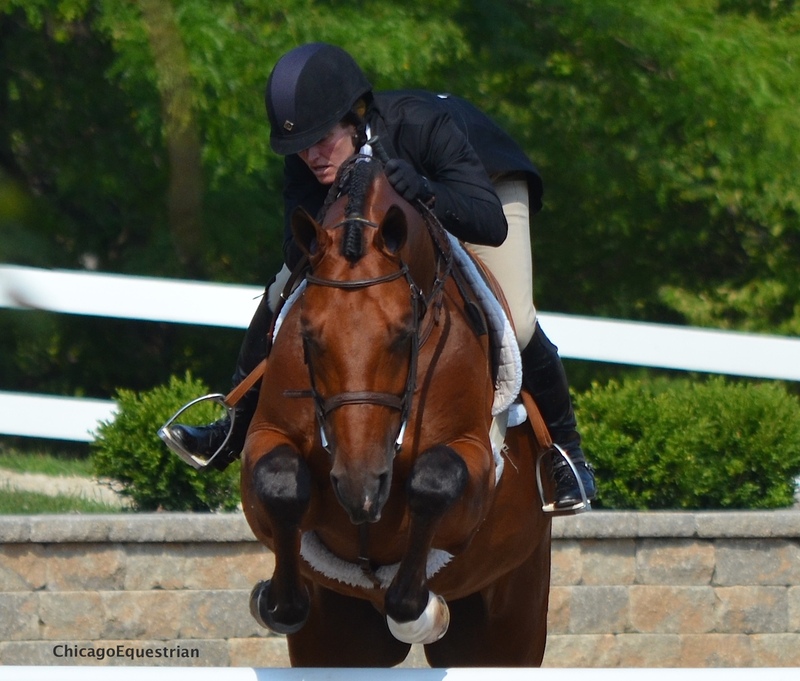 Leading the way for the $5,000 USHJA National Hunter Derby was Russell Frey and Savile Row owned by Erik Swanson of Chicago. Earning the high score in the first round of a 91, Frey returned with a vengeance in the handy round, demonstrating his years of experience in the tack to earn a 97 and a total of 188 for the derby win. "Debbie (McIntyre) picked him out at Spring Spectacular for Angie Burton," said Frey. "He was purchased by her fiancé, Eric Swanson. The horse is brave, athletic and has huge scope. He's an extremely fun horse to ride." Sheldon Cooper with Molly McAdow placed second in the National Derby. Holding their second place spot throughout the derby was Molly McAdow with Heather Conklin’s Sheldon Cooper. The pair scored an 88 in the first round and an 89 in the second round to finish in second. The ten-year-old Westphalian gelding is a steady Eddy, also shown in the Amateur Owner Hunter Division with Kelsey Conklin of Hinsdale, IL. Third went to Nicole Loochtan of Hawthorn Woods, IL, and Dream On, who scored an 84 in the first round and a 92 in the second round for a total of 176. Loochtan shows Dream on in the Junior Hunter Division and earned the division Championship in week II. Derby Day signals the end of the Equifest Series hosted by Lamplight Equestrian Center and managed by Allen Reinheimer. 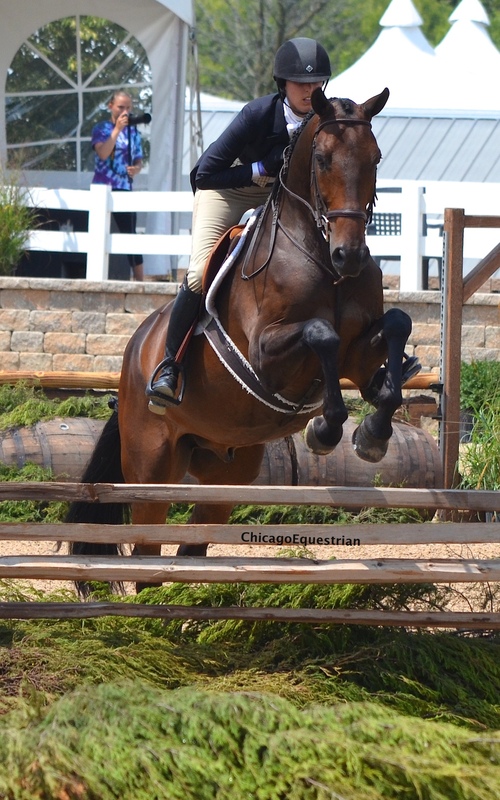 The show held a USHJA National Hunter Derby and a $35,000 Prix de Lamplight each week.